Ever since I picked up that first issue of Grimm Fairy Tales at Wizard World Chicago years ago, I have been fan of Zenescope and Ralph’s work for well over a decade– this interview has me all geeked up with fanboy delight. For all the Pullbox readers, I would like to formally thank writer, producer and co-founder of Zenescope – Ralph Tedesco, for taking time to talk with us. Eric: Zenescope Entertainment is now a multi-media entertainment icon that have comics, animation, television & movies and growing. When you first put together that very first issue of Grimm Fairy Tales – did you have a vision of where it was going? RT: The initial goal probably wasn’t to become a publishing house. Joe and I just wanted to write and somehow get a comic book series published. It started with us simply thinking we had a pretty cool idea for one. Early on in the process we made the decision to self-publish rather than go through an already existing publisher and doing a “creator-owned” deal. We simply didn’t like the deals those publishers were offering independent creators at the time. Once we started finding success through our own label, we began to build our universe and added more and more titles. And as we continued to grow as a publisher over the years, more opportunities began to present themselves in other forms of media. But to be honest, it was very tough the first several years to maintain consistent sales and success, so we definitely had a lot of ups and downs. But things were also very different a decade ago. What you see now are some new publishers that have popped up in the last five years or so that are putting out some really good content. But there is no attention being paid to universe building or branding. A lot of these newer publishers just want to come out and be the rock stars of this industry as they try to quickly land a film or TV deal. Of course everyone wants the next Walking Dead or the next Riverdale but if you have no clear brand, it’s difficult to remain competitive on the publishing side until you do hit that home run on the film or TV side. 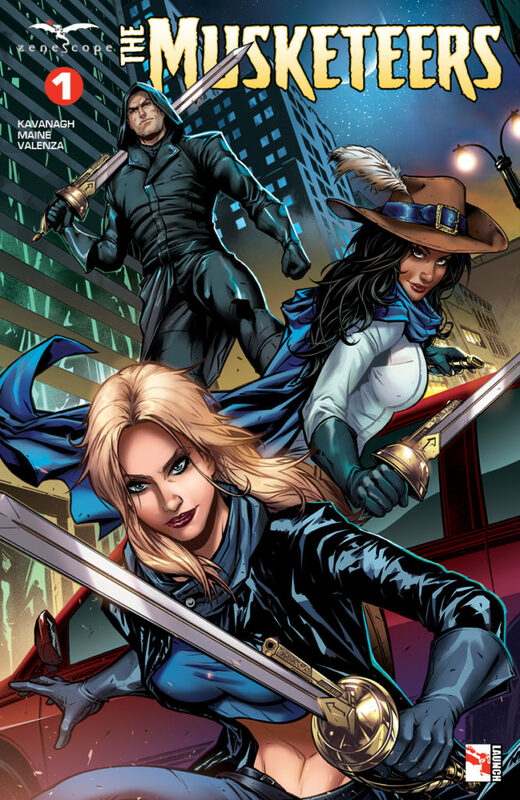 Eric: Almost immediately, Zenescope had a huge fan base solely on the flagship anthology title of Grimm Fairy Tales. What inspired you to take previously known stories and make them into something original? RT: Well nobody was really doing it at that time aside from Vertigo who was already publishing Fables. But our idea was very different from Bill Willingham’s series – which is fantastic. Disney built an empire from turning public domain stories into kids’ tales. We took a similar idea but geared it toward adult readers. It was almost like securing a popular brand but without having to negotiate with rights holders and pay big licensing fees. Everyone was already familiar with these stories, so I think what intrigued readers was there could be dark versions of the same fairy tales they grew up hearing as children. Eric: For more than a decade, you have created amazing mythologies intertwining and interpreting material from classic literature (Wonderland, Oz, Neverland, Etc.) – do you have a favorite that you worked on? RT: That’s tough. The early Grimm Fairy Tales issues will always be special to me. Return To Wonderland and the rest of that original Wonderland trilogy was a lot of fun too. Joe, Raven and I all had a great time working on that together. Eric: Is there classic material out there that you have wanted to work on, but just have not had the opportunity to yet? RT: There are a few things that we want to reinterpret that we haven’t gotten to yet. There is so much awesome literature out there that is part of the public domain. It’s been a lot of fun taking these well-known characters and re-inventing them or gender-bending them in some cases. But that’s not all we do anymore, it’s important to us that we continue to invent wholly original stories and characters. We are always adding brand new characters to our shared universe (we call it the Grimm Universe) that aren’t necessarily based on public domain. One advantage of having our own label is it allows us to continue to build our universe how we want to shape it. So if we want to reinvent Robyn Hood as a female “fixer for hire” in modern day Manhattan, we can do that. But we can also create an entirely original character – like Mercy Dante from our Inferno series – who is also part of our universe but isn’t a public domain character. Then when we do have ideas for a story or new characters that don’t fit into our shared universe, we can still release those titles under the Zenescope label. For example we publish titles like Fly, The Courier, Monster Hunters’ Survival Guide, Spirit Hunters – and dozens of others – that are not part of the Grimm Universe but are all still great reads. 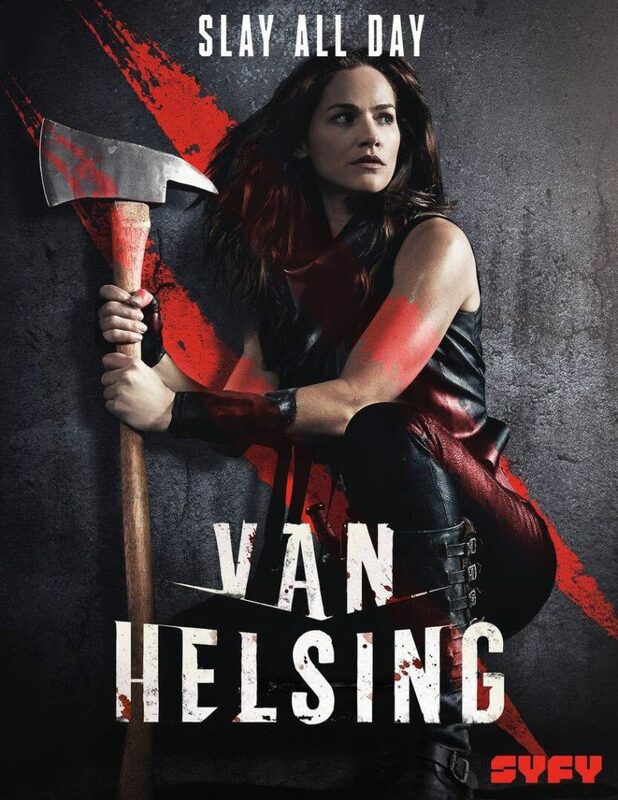 Eric: Zenescope’s storytelling and characters seem to be dominating everywhere – Van Helsing in a runaway hit on Syfy – What other properties will be seeing adapted next? RT: We’re in development now on an adaptation of Grimm Tales of Terror so that’s probably the closest to hitting the screen as a live action feature film. We’re working with Assemble Media and Jack Heller who was the producer behind the indie film Bone Tomahawk starring Kurt Russell and last year’s Brawl In Cell Block 99 starring Vince Vaughn and Don Johnson. We have a few other projects in development on the TV side, but you never know for sure what’s going to go so we’re waiting to make any major announcements until those get closer to being a reality. Eric: What is the next Zenescope property you would like to see brought to live-action life? RT: I’ll stick with Grimm Tales of Terror since that is closest to happening and I’m stoked about the direction we’re taking it in. But I also would absolutely love to see Neverland or Wonderland get made eventually. We could do so much with both of those series. Eric: For the classic comic book fans – what new series are coming up from Zenescope in 2018? TD: The Three Musketeers just hit shelves and we’re definitely excited about that. I also love Belle: Beast Hunter which is being written by our Senior Editor, Dave Franchini. We also have Jasmine coming out soon. All of those are spinoff titles in our shared universe. Outside the universe, we have some pretty cool books we’re excited about coming in 2018. One is a horror title called Peek-A-Boo and another anthology series called Conspiracy. Eric: Shameless self-promotion time – Are there any Ralph Tedesco projects coming up outside of Zenescope? RT: No. Not really. As of right now all my energy is focused on Zenescope and growing our label and brand. Eric: Is there anything I missed? RT: Probably. There’s a lot to talk about, but we wouldn’t have the time to cover it all in one interview. Guess we’ll need to do another soon.